When cooking eggplant, it's important to sprinkle the vegetable with a ton of coarse salt in order to draw out some of the bitterness, and get rid of the moisture inside the eggplant. It's hard to believe how much moisture comes out of eggplant! 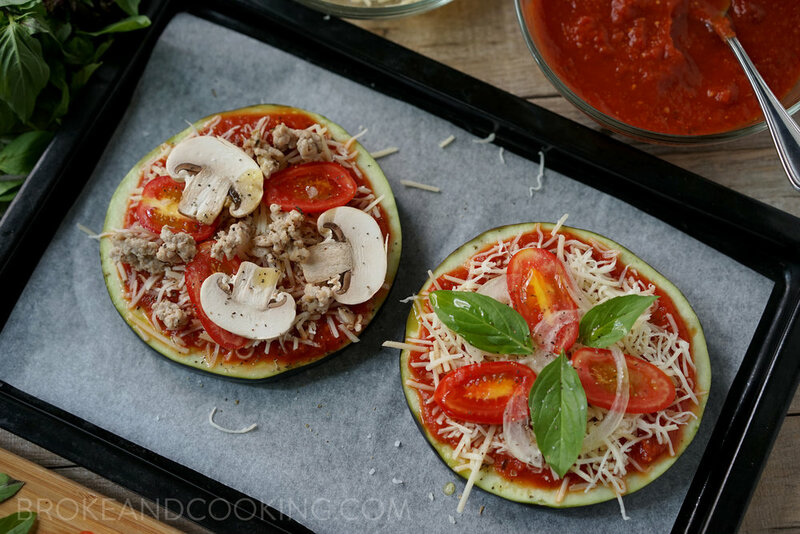 After that, eggplant pizzas are as simple to make as covering them with your favorite homemade or store-bought sauce, cheese, and toppings. My favorite topping combinations are caprese and sausage and mushroom. It's the simple things ;) Some other topping ideas are: prosciutto, chicken, bacon, peppers, onions, shallots, pepperoni, ham, pineapple, olives... there are no limitations :) Let's get baking! Toppings: basil, tomatoes, mushrooms, sausage, olives, pepperoni, peppers, onions, garlic, etc. Preheat your oven to 400F / 200C. Place the eggplant slices on paper towels and sprinkle each slice liberally with coarse salt. Cover with paper towels for 20-30 minutes to draw out the moisture and bitterness. Pat dry. 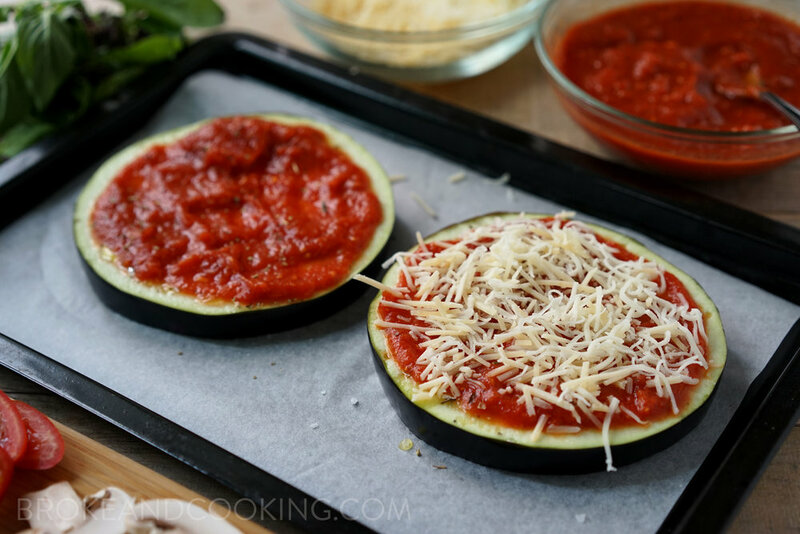 Now all you've got to do is top each eggplant slice with sauce, cheese, and whatever toppings you'd like! :) Top with a drizzle of olive oil, salt, pepper, and Italian seasoning. Bake at 400F / 200C for 15-20 minutes or until cheese is brown and bubbly. The eggplant should be fork tender and not mushy! After about 15 minutes in the oven/toaster oven, you'll have bubbly, cheesy goodness!